Roger Federer insisted he was "all good" despite being troubled by his back in his US Open win over Philipp Kohlschreiber. The Swiss 19-time grand slam champion took a medical timeout after the second set of his 6-4 6-2 7-5 victory against Kohlschreiber in the fourth round on Monday. Federer, 36, came into the year's final major with a back injury, but said his medical timeout against the German was purely a precaution. "I just felt something, sort of my muscle being tight at the back. Sort of my quad, I guess. I don't know what you call it," he told a news conference. "I just wanted to get it done really quickly after the set break. I said, 'Look, you know what, I need to go anyway off court for it.' Normally you have to ask. They would have said anyway yes. "I just ran straight to the physio. I was done in three minutes and back again. I just didn't want Philipp to wait. "It was more precaution. It's all good. No problems there. I'm not worried about it. I'm sorry I had to do it." Federer's win saw him set up a quarter-final clash against Juan Martin del Potro in what will be a repeat of the 2009 decider, which the Argentinian won. 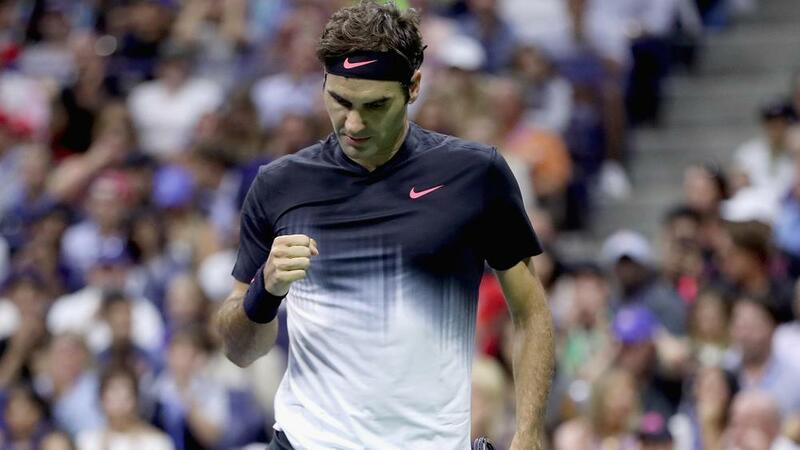 A five-time champion in New York, Federer said he was excited by the clash as he praised Del Potro, whose career has been threatened by wrist injuries. "He's a good guy. I know him well," Federer said. "But when he was hurt, clearly I didn't see him for a long time. I was sorry for him because I think he had a legitimately good chance to become world number one at that time. "Him and [Nikolay] Davydenko, actually both of them got hurt at the wrong times in their careers. Both had a chance to go for world number one at that time, '09 I think it was. So I'm really happy for him. "It's a good match to look forward to. Reminds me clearly of the 2009 finals that we had, which was an epic, too. I hope we can produce another good one."